In a previous article I talk about how to add a YouTube video to your MySpace profile. I have also noticed that lots of people ask for solution to make Youtube video auto play on MySpace. Autostarting YouTube videos on MySpace is definitely possible. In essence it's very easy. All you need to do is to tweak your Youtube code a bit. 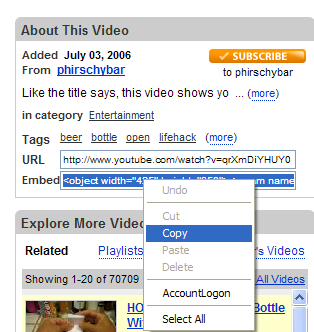 The following procedure I put together will help you to auto play YouTube videos on MySpace. Step 1. Go to Youtube and find the EMBED code for the video. 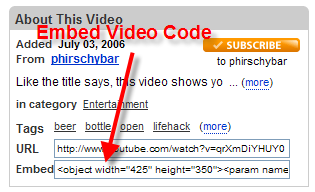 This embed code is in the “About This Video” section of the video and will be automatically be selected in the “Embed” textbox. Step 5. Click Preview Profile and check how your profile looks. Step 6. Click Save button to save the change. Download the Youtube video you want to add to your MySpace profile from the Internet to your PC with Leawo YouTube Download. Launch Moyea Web Player in your PC, add the FLV file you have just downloaded on your computer to the program. 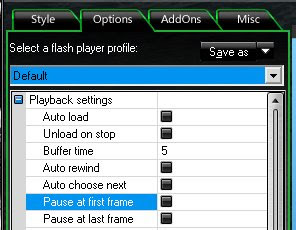 Moyea Web Player Pro is a flash video player maker which is a quick solution to generate a custom flash video player for website and add videos to web page.